SELA has a very long expertise and experience in the supply of military lighting systems. We equipped the first military aircraft in 1960 with the cockpit lighting upgrade of the French Air Force MIRAGE IIIB fleet and all the following MIRAGE aircraft models including the MIRAGE 2000. 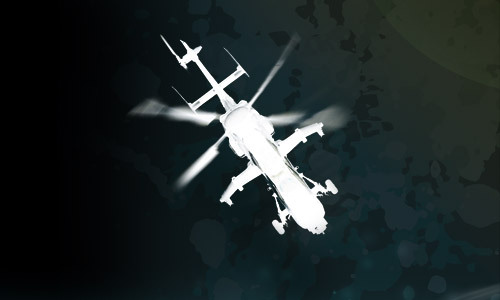 For more than 50 years now, we have worked and we are still working in partnership with several aircraft and helicopter manufacturers for serial military lighting installation. SELA is the inventor of the cockpit UV fluorescent tubes lighting with a yellow Saturn painting principle on cockpit instruments. This Night Vision Goggles (NVG) compatible lighting system has been approved and installed in a complete fleet of helicopters models from light to heavy models during all the last decades including the last multirole modern helicopters. The same UV lighting system has been installed on C-160 TRANSALL cargo aircraft fleet. During the last decade, SELA has designed, developed and supplied new military LED lighting systems giving a full NVIS compatibility. In partnership with our customers, we have created innovative back lighted panels in 5 mm thickness only and including flat indicators, LED back lighted inscriptions and instruments homogeneous lighting rendering. Our lighting systems compliance is systematically controlled in house with our spectroradiometer and a complete conformity with MIL-L-85762A and MIL-STD 3009 is assured. For any new project or any upgrade, we offer expert knowledge and practical solutions in a proactive and friendly way.